July 2013: We are Accepting New Patients! We are already half way through the year! Did your resolutions include improving your health, your confidence or smiling more often? We can help! Oral health affects your entire wellbeing and a beautiful smile is source of confidence that you will be pleased to show off as often as possible. Many insurance benefits lapse at the end of the calendar year. That means if you have unused benefits, they do not accrue into the new year. To get the most benefit from your plan, we recommend visiting your dentist early in the year. This allow you to maintain your healthy smile and create a plan (that works with your dental policy) if you have dental concern that requires treatment or multiple visits. 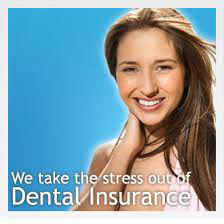 For your convenience we offer "Assignment of Dental Benefits", taking the stress out of dental insurance. With your permission, we bill your insurance company directly allowing you to receive the dental care you need, without the inconvenience of paying entirely out of pocket. 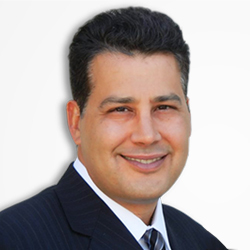 We are pleased to offer this service at no expense to our patients as we value your time and experience with our office. 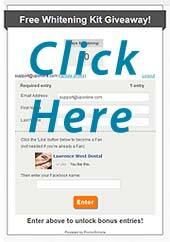 Get the most from your 2013 dental insurance benefits! 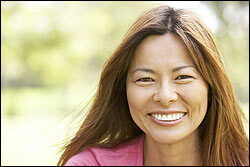 Are you a candidate for tooth contouring and reshaping? Click here to find out! The contest deadline is August 15th, 2013. We'll see you online! 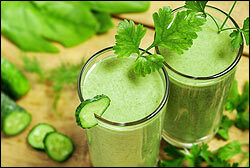 Juicing your own fresh fruits and vegetables has gained a lot of attention, and for good reasons. Juices are delicious and carry many health benefits. While any fruits and vegetables you juice yourself will be better for you than sugary/preserved/pasteurized juices you can buy at the store, we suggest you juice organic fruits and vegetables when possible (and wash fruits and vegetables thoroughly). We're not suggesting a 'juice diet', rather replacing an over-the-counter drink or a light meal or snack. Adding a fresh juice into your daily diet can have amazing positive effects on your well-being. A fresh juice in the morning can offer a quick healthy alternative to a traditional toast, eggs and bacon, a midday juice can give you a refreshing boost of energy, while having a nutrient filled juice for dinner can free your body up to repair itself overnight rather than digest a heavy meal. Here are some of the many benefits of juicing: Click here to continue reading!